Absinthe Estivale 2018 is a special limited edition by Francois Aymonier, which was launched on the market for the Absinthe fair Absinthiades, taking place in Pontarlier in 2018. 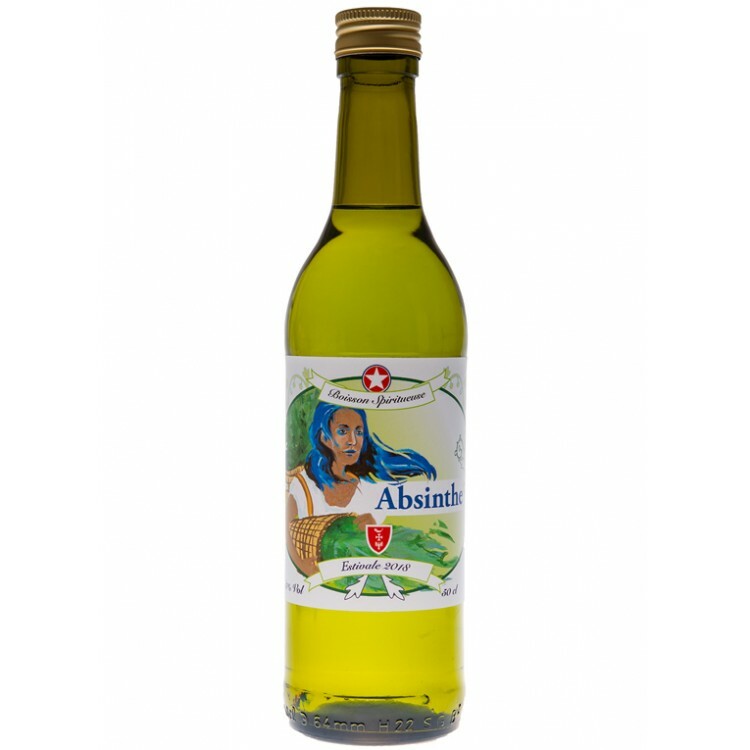 Due to the barrel aging this Absinthe gains a lot of harmony. Absinthe Estivale 2018 is a special limited edition by Francois Aymonier, which was launched on the market for the Absinthe fair Absinthiades, taking place in Pontarlier in 2018. Due to the barrel aging this Absinthe gains a lot of harmony. The typical strong herbal aromas are a feast for every Absinthe lover.The bottles are limited, we recommend to order soon. 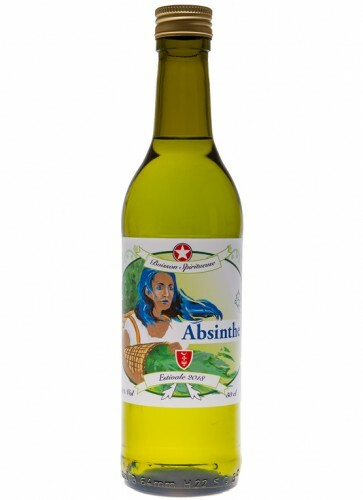 Absinthe Estivale is made with only the best wormwood, grown in the garden of the distiller Francois Aymonier. 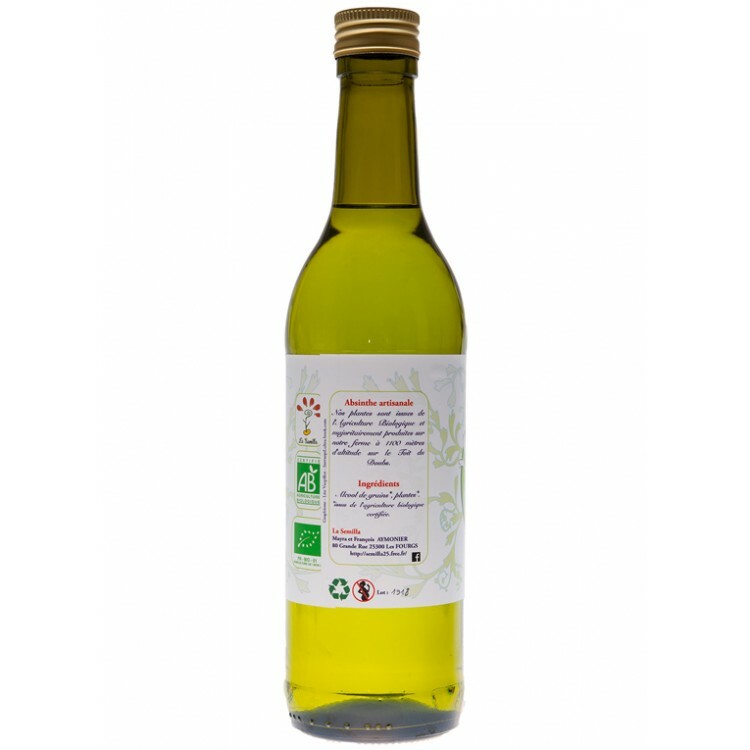 Real wormwood (artemisia absinthium) is a tall, grooved, branched and silvery-green plant. It can grow to 0.8–1.2 metres (2 ft 7 in–3 ft 11 in) ) in height. The leaves are spirally arranged, greenish-grey above and white below, covered with silky silvery-white trichomes. The plant is rich in essential oils. If you rub some leaves between your fingers you will immediately detect it´s aroma. Real worwmood is quite bitter in taste. That's why you should not use it as a coloration herb. It would destroy the fine structure of the distillate. For coloration other plants and wormwood species are used. Common are hysop, melissa and small wormwood (artemisia pontica). Nevertheless the coloration herbs always add a bit of flavor to the distilled Absinthe. A very smooth and clear taste is achieved by skipping the coloration process. These Absinthes are called "La Bleues" or "Blanches". We also sell them at our store.